24-hour dentists are dentists who operate around the clock, 24/7. They are available at all times to tend to your dental problems, even if it is in the middle of the night. Chipped a tooth by tripping in the dark? No problem! Just contact the nearest emergency dentist a look at it. They also work on Saturdays and Sundays, the days when a normal dental clinic would take a break. That’s right! Emergency clinics are actually quite amazing, if you think about it, how they’re always there to look after your smile. McKinney, Texas, is the 19th most populated city in the whole of Texas. That might not sound like much, but if you think about the population, which is more than 155,000 people, living in a city as small as 63 square miles, it would be easy to note why such a place would require more than just one emergency dentist. It might be a small city with a small population, but that’s still not enough for one regular dentistry to look after. And what would happen if people suddenly woke up in the middle of the night with toothaches? Who will look after their dental issues then? This is why McKinney consists of some very capable 24-hour dentists to look after the dental issues of people at the middle of the night or during the weekends. Do you know the numbers of the emergency dentists operating near you? If you don’t, then you should take note of them as soon as possible. It is extremely important to know the names and numbers of the 24-hour dentists near you, as you never know when you might need them. Worst case scenario, if you have a dental accident on a weekend or at the middle of the night and don’t know who to contact, you can always call 911 and rely on them to take care of the emergency. However, it is still wise to note down a few numbers. Which is why, we have provided you with a list of names and numbers of emergency dentists that you can rely on. 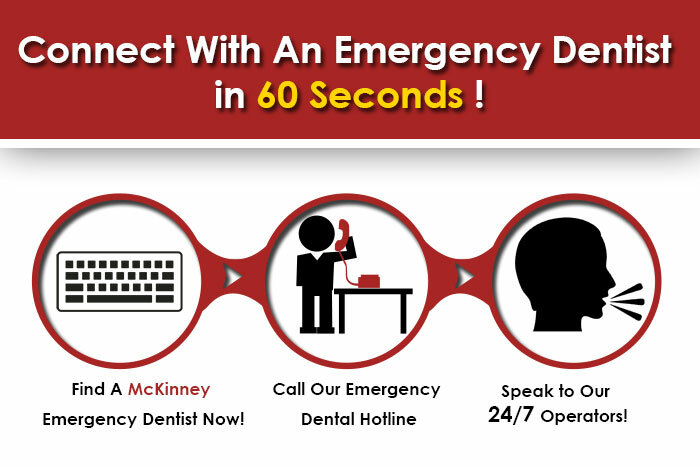 Description When traveling through the McKinney, there are many ways in which a dental emergency could quickly present itself. If you’re having a dental emergency it’s important to get help fast. Call our hotline and we’ll help you find a dentist near you fast! They understand the importance of something as minor as a toothache and know that it could lead to something much bigger. There are many different common dental emergencies that this dentistry is capable to handle. At Dossett Dental in McKinney, Dr. Phillip Johnson starts by gaining a thorough understanding of your unique, individual needs in order to provide the most effective treatments possible. From a McKinney family dentist to the practice-wide services of a leading oral surgeon, all the professionals at our McKinney TX dental office make highly individualized care a top priority. Dossett Dental provides top quality dentistry at reasonable prices and excellent service. You will experience relief, ease, & well being when you join our family of patients.